@annamanzo634's puppy is tiny enough to hold with one hand! If you need a cuddle buddy between intervals, your puppy is there for you. Venturing into the woods with a puppy makes it seem a little less scary. Thankfully @mamihlapinatapai's puppy was there to the rescue! Find yourself leaving hair ties all over the place? Weights? Pieces of rope? @xo_mcg's puppy was there to sniff out the snuff. The last mile or kilometre is always the toughest. If you ever feel like giving up, your puppy is there to urge you on for a few extra steps, just like @kelmanganx's puppy did. Fitness and workout selfies are...a little bit awkward, to say the least. Your selfie game is 100% stronger when your puppy is there with you! Take it from @jatie's dog Bentley. This puppy sure knows how to pose for one great picture. Look at those eyes. How do you resist those eyes?! Thank goodness @xolauraxo's dog is there to help encourage healthy snacking habits. As much as we'd love to curl up in a blanket and watch Netflix on our laptops all day, dogs need to be walked. Even in the winter. 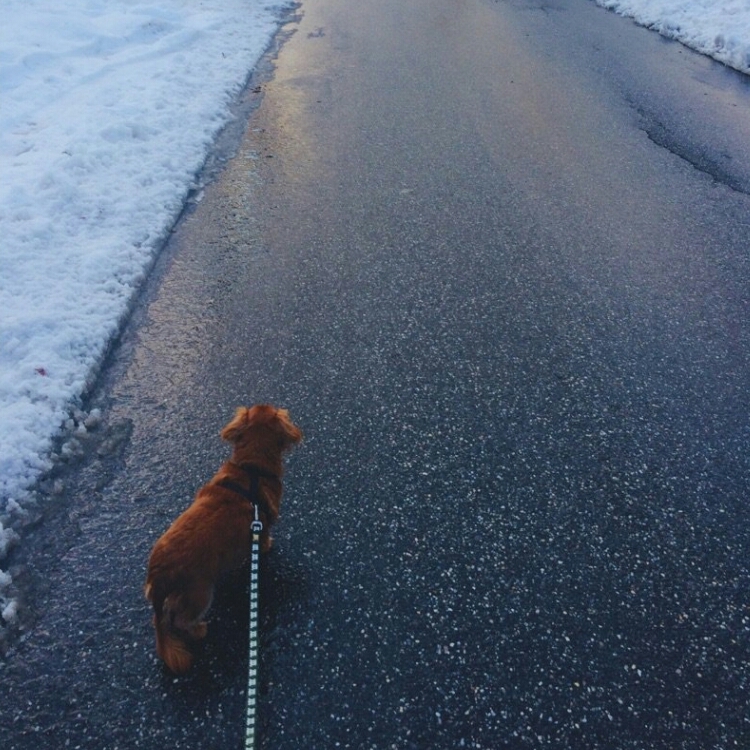 @theblondemercedes' puppy was there to coax her into a beautiful winter stroll. Puppies can help you to vary your pace more than you normally would if you were running by yourself. They might even encourage you to run faster or take you places where you wouldn't go on a given day. @gaylinnicole has the best companion for her scenic hikes. Give life to your resistance training (literally). Puppies make squats a whole lot more fun, just like @lorrin's puppy Willow! Show us your PumpUp puppies on National Puppy Day by tagging your captions with #PumpUpPuppy on the app!